Praise the lord! I have found THE taco truck. My taco truck. I thought I had found THE taco truck a long time ago, but last week I found another truck that just blew the previous one out of the water. This lovely truck is located in a Japanese auto shop. Awesome. Combines my loves in live-Japanese stuff and street food. Hello there!!! 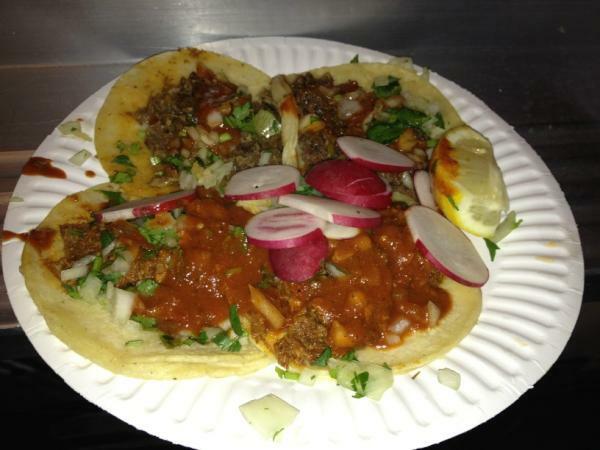 I love Pastor tacos aka BBQ pork! Whenever I see it, I always have to order it. El Taquito in Pasadena knocks it out of the park though. I also like trying their beef head and beef tongue. But wait!!!! Pineapple water!!!! Yeah you heard right. Pineapple water, not pineapple juice. De-freaking-licious!!! *Drool. Did I mention that it's open on weekends until 3 AM? Jan 29 Taco Trucks! Mexican & Korean style!